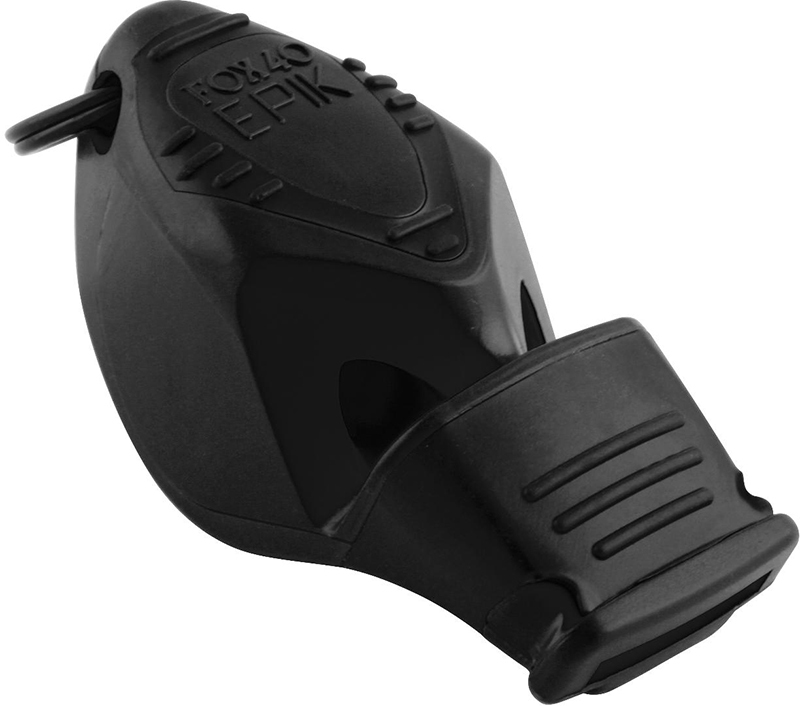 Black over-molded cushioned mouth grip. Integrated grip ribs on top surface. 3 chamber pealess design. Ergonomically designed shape. Audible for 1.6 km away.